Absolutely Killer collection of niche, mid-70s Thai music tracked down and collated by the irrepressible crew at Finders Keepers. Ever since that 7" of Sroeng Santi's Black Sabbath cover sneaked out last year we've been aching for the full length set, assured by the bods at FK that it was going be something heavy. The final, outstanding product is unique not only for the fact that many of the tunes are previously unissued, even in Thailand itself, but also for the fact it represents a very small, specific strain of sonic fusions/experiments, which while influenced by American and European 'psyche' or 'surf' music could never comfortably be called either. Falling somewhere between the indigenous styles of Luk Thung (song of the countryside) and Luk Krung (song of the city), these fourteen tracks used the newly available electric bass, guitar and keyboards to reset traditional Thai memes in a fuzzed-up and groovy-as-heck context, no doubt aware of their foreign counterparts, but disconnected from their politics and societal impositions. Like recent excavations of Cambodian rock, the brilliance of this music partly stems from the shock value but the effect lasts much longer when you really start to digest their crazy juxtapositions and incredibly unique, innate sense of funk. 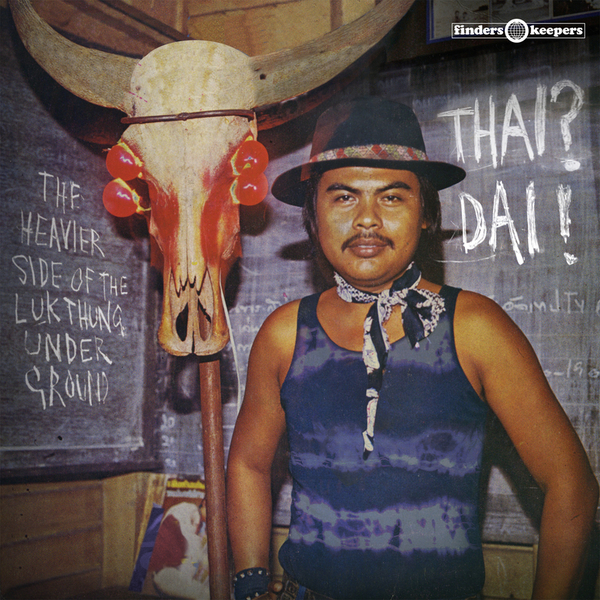 From Plearn Promdan's outrageously heavy western tribute 'Ying Ting' to Sroeng Santi's aforementioned Sabbath cover, to the twinkling xylophone and limbre funk of Rung Petchburi's Pai Joi' and the fiercely psychedelic, exotic burn of Teungjai Bunpraruksa's 'Kanong Krung' and it's utterly deranged bassline, this album is a total revelation. 'Thai! Dai!' is simply the most distinctive record Finders Keepers have released since the 'Pomegranates' LP, and requires your attention immediately. Very heartily recommended!